Here comes the Women power. Today I am going to introduce you with one more power blogger Deborah Anderson. Interviews are the great way to know person, her struggle, life journey and achievements. It make all of us strong and also give inspiration to create our own world of happiness. We have already published 11th addition in powerful, successful and inspirational interviews series of Journey of a Professional Blogger, interviews on EASKME.com. 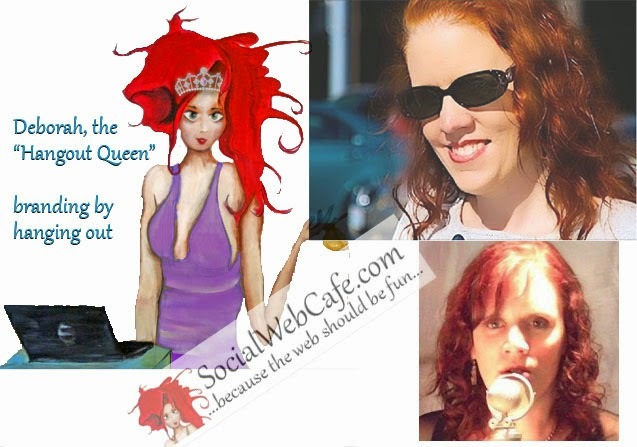 Today we are going to publish interview with a professional Blogger, Deborah Anderson from Socialwebcafe.com. I still remember the first time I heard the word "blog." It was back when my husband and I were running a hosting company and domain registration service. That was a long time ago! All I could think of was, "What a strange word that is." Obviously, I didn't know what the word meant, at the time (weblog). I have always been a writer. Even when I was a kid, I had several books in process. I switched from writing books to writing music when I started my career as "Deborah E, Jazz Singer." Then, I returned back to both types of writing. 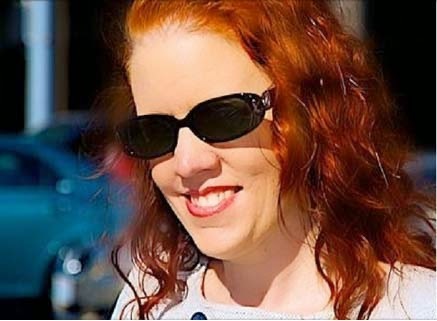 Later in life, during the process of music promotion online, I entered a 9 week challenge with Ariel Hyatt, as a free companion process that accompanied her book, "Music Success in Nine Weeks." I joined in with other musicians who were also going through the steps. There were many aspects, including social media marketing, but we also had to blog about what we were doing each week. That is when blogging really clicked for me. I actually started blogging before that, the same year, but I wrote what was on my mind that day and didn't necessarily have a direction. I categorized my blog posts, but they seemed really random to me. Somehow, after that challenge with the musicians, it all made sense. Of course, the result was that instead of one blog, I created 18 blogs. Yes, that is crazy, and I don't recommend it. I didn't create 18 the next day. It started with about three and grew. Also, not all of them are full-fledged blogs. One is all about quote images that I create, and some others are more e-commerce based websites with blog posts to support the content. The idea of writing was always there. If there was a computer, pen, paper, napkin, I was writing. So, the decision to write was one that was almost made for me before I was born! As far as the technical aspect, I am a technical person (BSIT for education), so there was no challenge there. I initially tried Drupal out of some idea that that meant I really knew what I was doing. However, at the same time I was the Director of Information Technology at a boutique financial firm in Beverly Hills (catering to those who had a net worth that was more than $20 million dollars). Why does that matter? Well, at the time, even though I was capable of putting together a site for the company, it was my job to contract a vendor to do so. The company paid $10k for the web site. At the time, that seemed like a huge amount of money. Of course, to a firm like that, it was really not that much. The site developers set up the site on Wordpress. The particular vendor that was working on the site for my company was not completing the tasks very quickly. I think they basically forgot to finish a custom page. That isn't acceptable for the financial firm partners, so I went in to see what was going on and discovered the Wordpress custom fields on the incomplete page. At that point, I had no experience with Wordpress, but soon figured out how to finish that page so that the powers-that-be would be happy at the company. It didn't matter to me that the vendor didn't complete it because it was more about having it done and the CEO and partners happy. But, that was my real introduction to anything that isn't out-of-the-box in Wordpress and was where I started really coding some of the custom functionality myself. What obstacles did I face? Time. There is never enough time to do the things I want to do. And, considering there is no programming challenge that is that difficult for me, when it comes to Wordpress, it is the time that is always the challenge. The time to do the things I invent in my head for my blogs. As a result, sometimes my blogs feel like they look like they are in a perpetual state of change. I think blogging can change someone's life if they want it to make that change. But, then, life is about change. So, anything that you devote a lot of time to is going to have a change impact on your life. Accepting that change happens is part of a healthy approach to life. The key thing is to understand what type of change and to decide if that change is appropriate for your life. If it is change that improves your life, then it would seem that that is an excellent change. If it is change that makes your life more difficult, then maybe you need to evaluate whether that is a change that you are willing to accept. The other thing about change is that what someone considers an improvement may not be an improvement to another blogger. This can also be true of family members and friends. A blogger may feel that they have changes in their life that are positive because they are getting more recognition online and more accolades and really feeling good about themselves. But, if their significant other is feeling left out or lacking time with their loved one, then that change would not be something that he or she would welcome. As a result, the interpretation of change is about perspective. In the paragraph above, I mention the choice. In many cases, change happens and people may wonder where that came from and how it is that their life changed. The choice part of the equation comes into play at the point where decisions are made and the outcome of the change, like a ball, starts to roll. As an example, if the blogger wakes up one day and finds a note on the table saying that their spouse has left them because they felt neglected, there is a choice that already occurred earlier, when the blogger decided to put the amount of time into blogging. To the leaving spouse, that was change. To the blogger, they have experienced positive change and negative change. Or, is it negative? Maybe the blogger really cares more about the blogging than the spouse. I should probably warn you that I am completing my doctorate in I/O psychology (it is like a business psychology), so I could go on and on with this topic. The key is to realize that as bloggers we will change. I can almost guarantee that that is inevitable. The question is, what is our perspective and can we live with the change. Wow, deciding which Internet marketing tools are my favorite is tough because there are so many tools I like. Even though I've been doing SEO for over 15 years, I spend a lot of time on social media marketing and some of the tools there include HootSuite, socialoomph, and I love Commun.it (helping to identify conversations on Twitter, saving me time). My favorite tool though, really has to be an application I built for myself. I just call it my promotion tool. It does everything. I even programmed it to trigger other desktop tools and web tools so that I can click a button and it walks me through my entire marketing process, daily. It is automated where it can be automated, and I programmed it to prompt me for manual tasks. Also, by programming it myself, I can make changes to it. I realize that isn't as helpful to the readers, since that tool is not available. Another way to do something similar is to create bookmark folders for all of the tools and sites you use in your strategy and then also have Excel spreadsheets or Google sheets to track the checklists. Trello is another excellent tool for people to do something similar to what I do with my program. I have a lot of exposure to new tools (and old tools) as the host of Web Tools TV (part of Michael Q. Todd's Web Tools Wiki). I also do tool series with my #SocialCafe Events. One of the newest tools I have added, for marketing, engagement, and built-in monetization is Webinar Fusion Pro (http://sw.bcafe.co/fusion - aff). This tool pulls in many things from other internet marketing tools all into one place and does the heavy lifting for me so I can concentrate on content creation. This is helpful as a promotional companion to the blogging. My daily schedule includes many things. Too many things! I have what I call a "hot list" in my Google calendar. Each night, or first thing in the morning, I open up that calendar item. It is more like a task list, but I actually schedule it on my calendar. I write down the five successes from the day before and the six things I plan to do today (or tomorrow if I am doing it the previous night). I have never been one to stick to only six tasks per day, but I do mark down the most important six, to help me focus. My mind goes a mile a minute and to accommodate that, I allow myself to add items to the "master list" at the bottom of that calendar item. Unless it is urgent, I don't allow myself to add it to the six. Then, the next day, hopefully, some of those six tasks become the five successes and some of the items from the master list move up into the six items. This process helps because I can get distracted, so by referring back to this throughout the day, I can keep focused. I do find myself pulling out sticky notes sometimes, when I am particularly distracted and writing out what I need to get done on the sticky. I use my promotion tool, mentioned in the question above, to go through my marketing. I also block out times for writing for my blogs and for all of the shows that I do. With all that is on my plate (including finishing up my doctorate, and being a wife and mother, as well as a Jazz singer), I have to be organized. I use trello and develop strategies and processes (something I did as Director of the Project Management Office for a well-known global internet marketing company). With these strategies, I can efficiently schedule podcast and show guests. I have taught my virtual team members how implement the strategies so that we can accomplish the goal together, as a team. Blogging have different definition for different person. What is it for you? I would say blogging is writing. I sometimes refer to my blog posts as articles. But, then, I have seen the word, "blog" refer to what I think of as blog posts and I have heard it used as the actual site that is full of blog posts. That would be my traditional view of blogging, but when I list that I have 18 blogs, a few of those are not traditional, as I mentioned in one of the questions above. For example, I have an ecommerce site that I set up to handle all of my products from all of my sites/blogs, so that the visitor could visit one site to handle purchases. However, I have also added posts to that site, to include content. That isn't a blog in the traditional sense, but I do schedule the writing for that ecommerce site and go through a similar process. Also, I am writing a book about a Jazz singer and planning to post some of the chapters on my music and art blog. That would be actual novel chapters, but posted as a blog post. For me, blogging is writing, which is a part of content creation. I tend to be more of a content creator (even with my music and with my shows) than a content consumer. Blogging is a way to express that through writing. I mentioned in the previous question that I tend to be more of a content creator than a content consumer. I hadn't actually thought about the differentiation until I spoke to a friend of my who creates excellent content, but she mentioned that she was a content consumer. I don't think being one or the other prohibits you from performing the tasks of the other. Why do I say all this? Well, basically, I don't necessarily spend enough time consuming content to have bona fide favorite blogs. One that come to mind, though, is Ileane Smith's basicblogtips.com. The content may be basic, in many cases, but inspires me for content creation. ​I tend to spend a lot of time visiting from site to site rather than just one site. Often, I see the articles on Facebook or Twitter and visit from there. Then, once I am on a site, I tend to read other articles. I spend about two hours per day. There have been times when projects (like programming projects) eat into that time and I have to spend a little less time. The SEO portion of it is worked into the writing process and I also use checklists and trello boards to track what I do with keywords, etc. How much time do you spend for blogging daily? The blogging time varies. For a long article, it can be between 3-5 hours. However, I don't just write for my own 18 blogs but also many other blogs. As a result, sometimes I have to put off the writing for some of my blogs. Out of the 18 blogs, there are about 3-5 blogs that I consider a priority, so they get more love. But, the writing that I do professionally and the writing that I commit for other blogs takes priority. It is not unusual to spend 8 hours blogging in addition to 2 hours promoting. Did I mention I don't sleep? It was a great interview with Deborah from Socialwebcafe.com. eAskme team wish her best of luck and a glittering career. Her journey as a blogger is a an inspiration for everyone. If you are a woman and you think there is something you can`t do, then you Deborah is here to be your inspiration. If you think that can`t do it, then you are wrong. You can do anything. Because every human being has the ability to do anything. So don`t just wait, start right now. If you want me to Publish your interview, feel free to contact me.